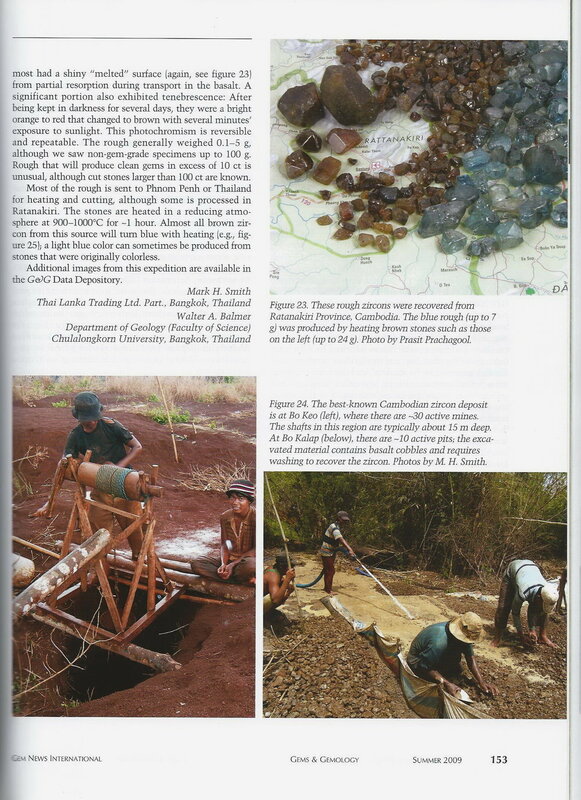 Over the years Thai Lanka Trading and it's founder, Mark Smith, have contributed to several industry publications and reports. 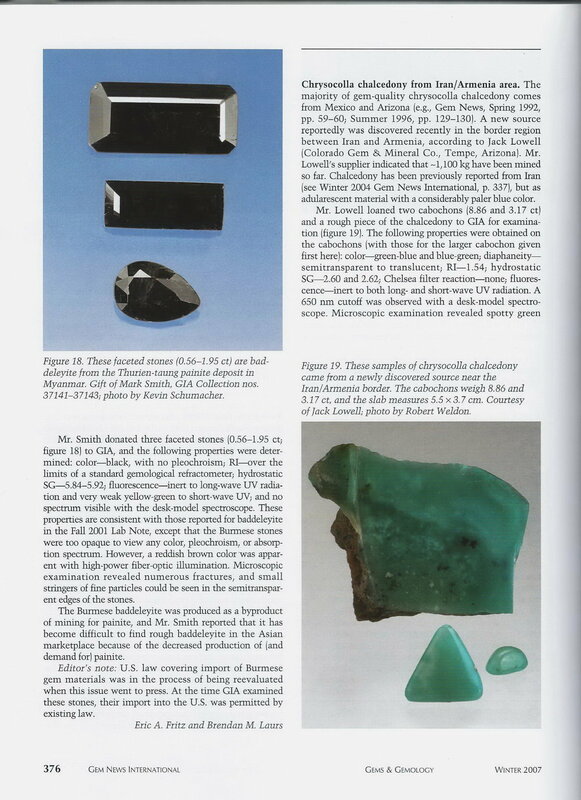 Mark Smith of Thai Lanka Trading co-wrote an article on Burmese Jade with Richard W. Hughes, Olivier Galibert, George Bosshart, Fred Ward, Thet Oo, Tay Thye Sun, and George E Harlow. 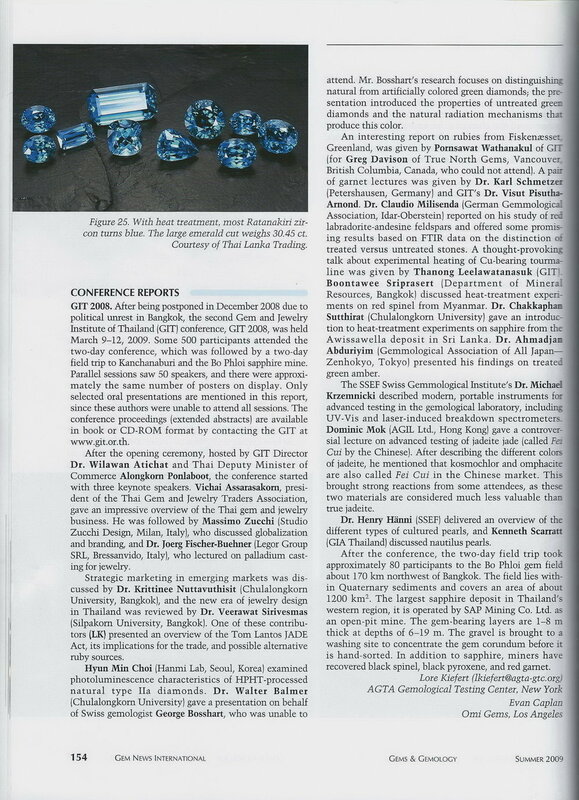 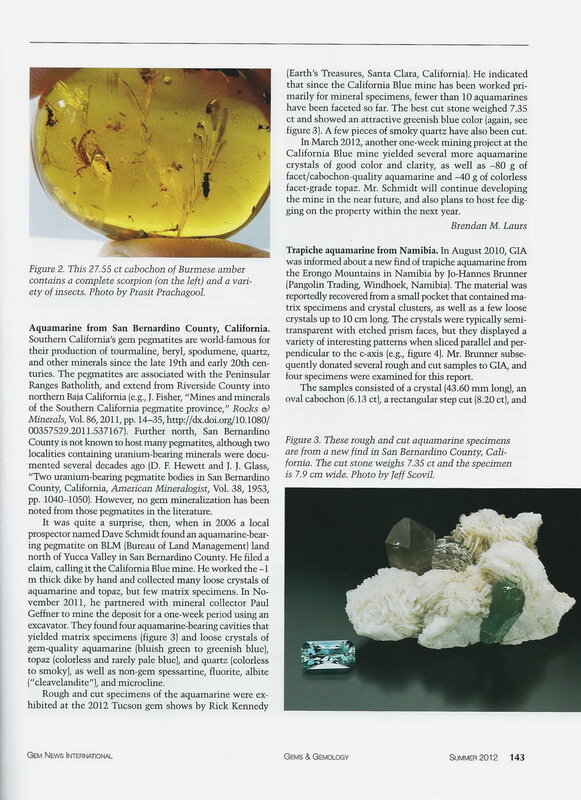 Portions of this article was published in the Spring 2000 edition of Gems & Gemology, a quarterly scientific journal published by the Gemological Institute of America (GIA). 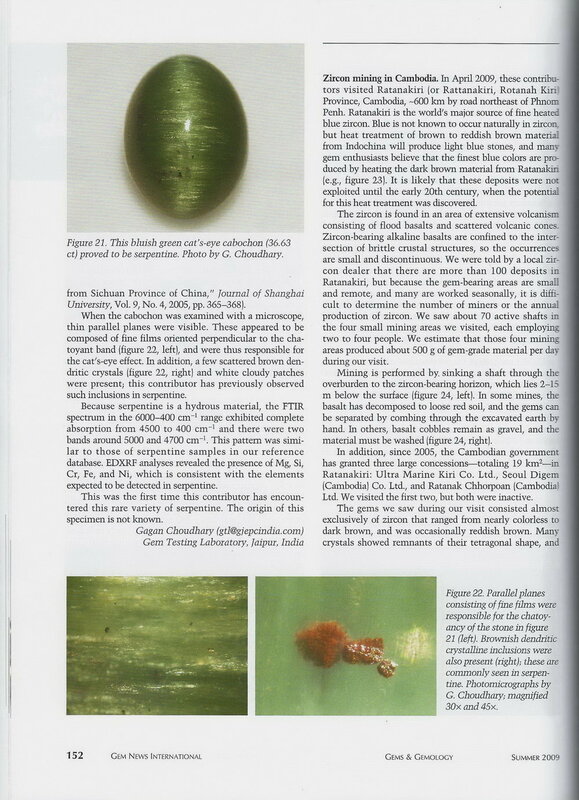 Click image or click here to read the full publication. 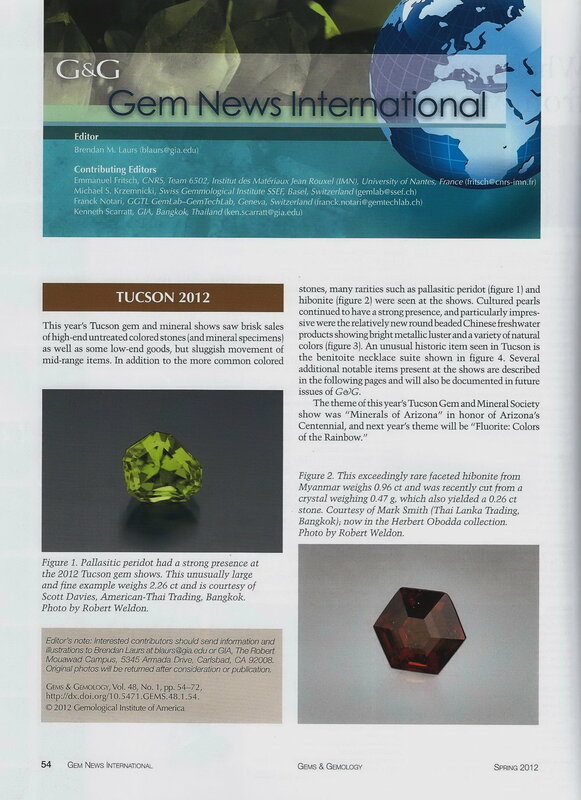 The full article can also be found here on Richard Hughes' website, Ruby-Sapphire. 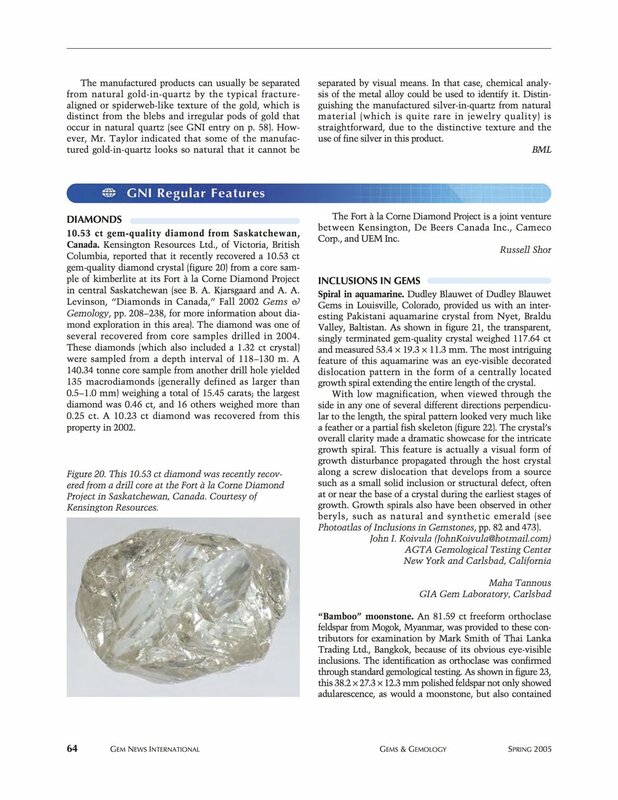 Please click on the publication pages to enlarge for reading.